LONDON, Ky., November 30, 2018 (Newswire.com) – Toy Vault, Inc. introduces Zfigs Dungeon Tiles – the affordable solution for Epic Dungeons. These unique modular tiles interlock with special edge connector pieces. Prices start at just $40 for a 36-piece unpainted set. Zfigs Dungeon Tiles are made of durable ABS plastic and are approximately 2” x 2”. Two versions are available: painted and unpainted. Their modular and interlocking design allows rooms and maps to be built beforehand and placed when needed. When connected, the pieces stay together tightly and can be moved as one unit. Each Zfigs Dungeon Tile Base Set includes 36 Pieces – 13 Floors, 11 Walls, 8 Corners, and 4 Doors. Stand-alone packs of floors, walls, corners, and doors are also available. 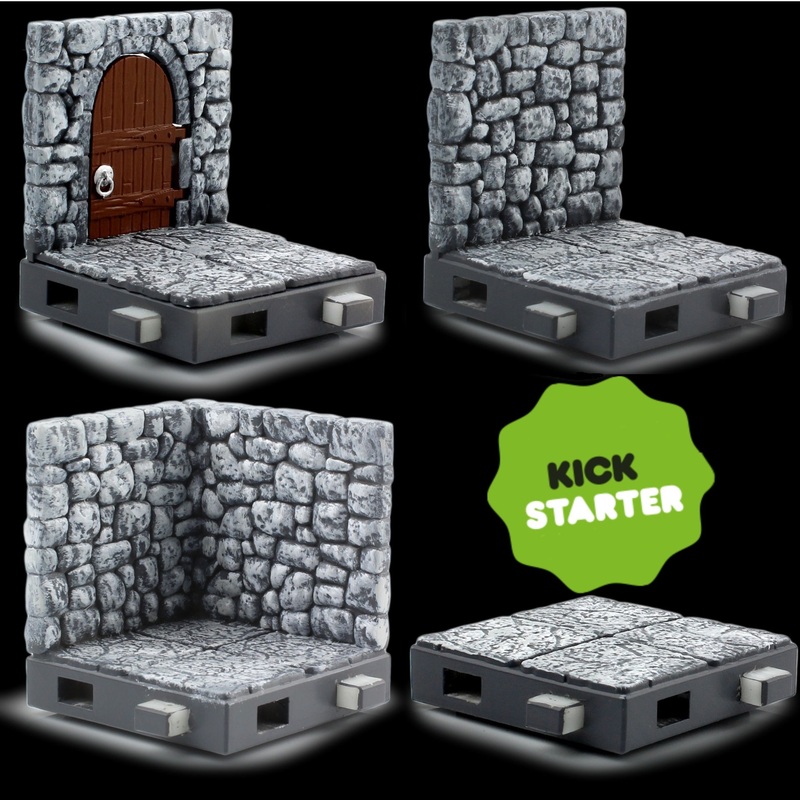 Additional pieces available as expansion sets include pillars, smooth floors, and battlements. Available on Kickstarter until December 20, 2018. About Toy Vault, Inc. Toy Vault, Inc., founded in 1998, designs and manufactures high-quality products for the toy, game, and novelty market. Toy Vault has an aggressive design and product-research department that consistently provides the newest and hottest-selling products within the industry. The company utilizes a highly-skilled sales force to penetrate all levels of retail. Toy Vault’s key strengths include the ability to deliver a competitive product while maintaining high quality, flexibility, and expertise in tailoring the product to individual retailers large and small, and the ability to create unique and compelling designs. Waffle Mafia Podcast Episode 26 - Evil-Lyn!